Keep it weird, keep it funny, keep it coming. Two Zeros and The Library of Doom! was the first published work in Gil's Grimoire, published back in January 2013, but The Man Who Could Not Die really came first, written in '10 late '11. 12+ months of frustrating agent-shopping/pandering later and I was almost ready to give up on The Man Who Could Not Die. Then I read some of that guerrilla marketing stuff and got to feeling inspired and the bright idea strikes me that I'm not beholden to the publishing industry and I can self publish. I think, hey, why not? In preparation, I decide I should do something to help get people excited for this soon-to-be published masterpiece sure to turn the entire industry on its head. And so I go and write a free novella to be released before the big novel. I hammered the novella out quickly and released it about two months after starting it. For a free book, it did pretty well. 11 months and endless editing/piddling later, The Zeros and The Man Who Could Not Die was finally released in December 2013. Acting as the first tale chronologically in Gil's Grimoire, The Zeros and The Man Who Could Not Die tells the story of Dylan's introduction to the Zeros, his first missions and first losses, and the first inklings of trouble on the horizon as the complicated otherworld politics prove too much to ignore. 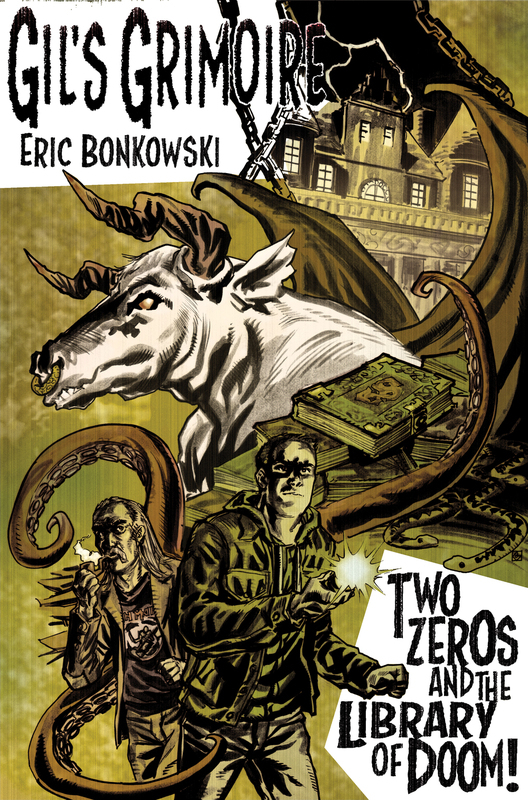 Continuing the tale of the gang and Philadelphia's new rogue's gallery, The Zeros and The Season of the Witch followed 8 months later, published in July 2014. The Zeros and The Season of the Witch finds the gang going on a well-deserved vacation to the Delaware beaches for some sun, sand, and beer. Things are going just fine until children start disappearing. A little snooping turns up word of a coven trying–and failing–to keep a low profile. As you can imagine, trouble ensues. The Zeros and The Empirical Evidence of Stars will continue the tradition of crazy stories led by the relentlessly optimistic Gil Abercrombie. This time, a man out of time turns up on the doorstep as one of the Zeros' own falls into the crosshairs of forces the gang is not fully prepared to comprehend–let alone defeat. When The Zeros and The Empirical Evidence of Stars is in the can, the gang will keep on rolling. New titles and further adventures will be coming, sure as the day is long.